Beryllium Copper Tools Manufacturer In India Non Sparking Tools are the best alternative for non sparking application purposes in explosive potential environments. All its tools are forged after casting to achieve the best quality tools in the market, both in mechanical properties and attractive finishing. We incorporate to our non sparking tools all our knowledge of decades designing and manufacturing hand tool, making the most ergonomic, easy to be used and nicest design for them. 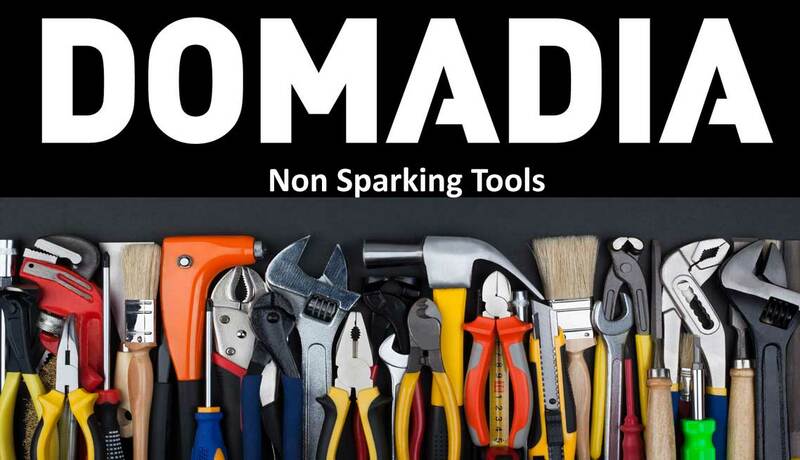 WHAT IS A "NON SPARKING" TOOLS? 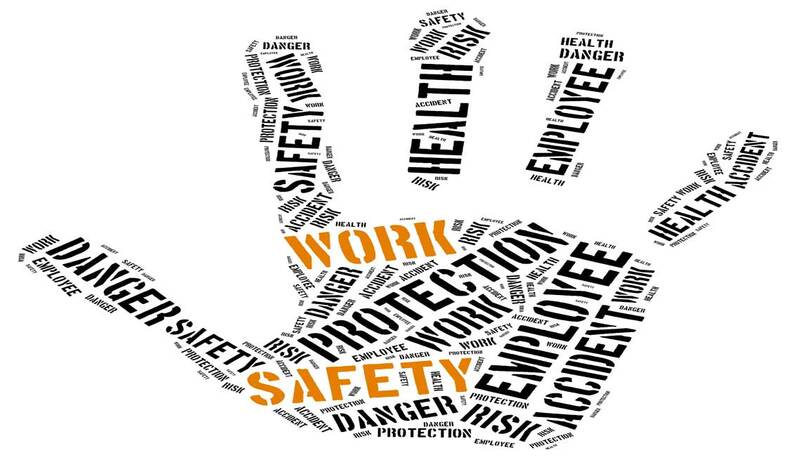 “Non-sparking”, “spark reduced”, “spark-resistant” or “spark-proof” tools are names given to tools made of metals such as brass, bronze, Monel metal (copper-nickel alloy), copper-aluminum alloys (aluminum bronze), or copper-beryllium alloys (Beryllium Copper / Beryllium Bronze). Commonly used hand tools are often manufactured of steel alloys. Preferred “non-sparking” metals have less tensile strength than steels usually used to make tools. A lower tensile strength means the metal has less strength or resistance to tearing apart when stretched under test conditions. It also means that these tools are softer, wear down more quickly than ordinary steel tools, and have to be dressed more frequently. 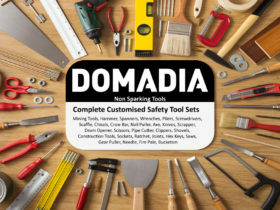 WHAT IS THE MOST IMPORTANT THING TO KNOW ABOUT "NON SPARKING" TOOLS? Non-sparking tools also generate sparks sometimes referred to as “cold sparks”. These cold sparks have a low heat level and do not ignite carbon disulfide, which has the lowest ignition point of any substance known to man. 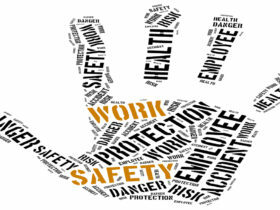 Therefore while “non-sparking” tools may lower the risk of a spark, they do not eliminate the possibility of sparks. 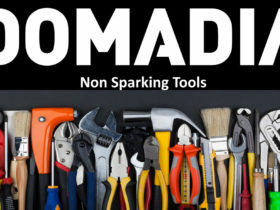 The name “non-sparking” is misleading because these tools are capable of producing a spark: the term “reduced-sparking tools” better describes these tools. 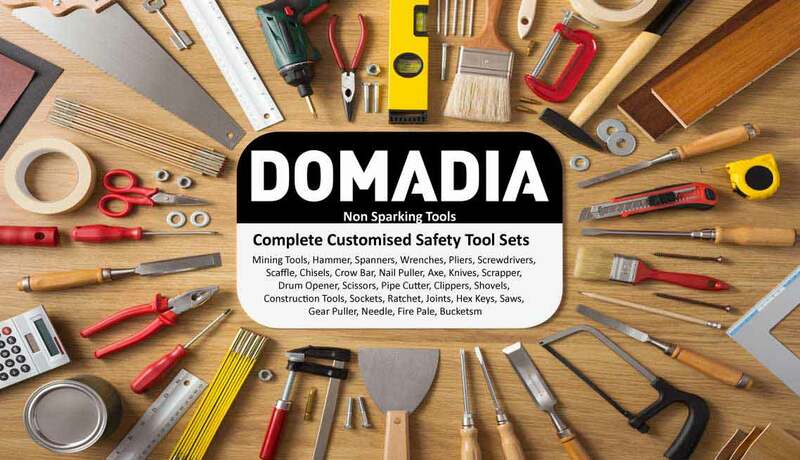 Non-sparking tools provide protection against fires and explosions in environments where there is a concern about sparks igniting flammable solvents, vapors, liquids, dusts or residues. Corrosion Resistant Specially well suited for applications in corrosive environments like encountered in marine works or fire-fighting applications. Ergonomic Designs The use of bi-material anti-slippery handles, dipping anti-slippery handles, totally ergonomic designs make operations easier, more comfortable and faster. The tools made of CuBe alloy can be used in all groups (I, IIA, IIB, IIC) in safety way, always respecting the maximum surface temperature allowed, except with acetylene that can create explosive acetylite gases. Magnetism : Non Ferrous substance in the Composition makes it safer when non-magnetic applications are required. Durability : Much higher due to the higher hardness and tensile strength. Higher efforts can be afforded. Risk of Ignition : Alloy can be used in all groups (I, IIA, IIB, IIC). Magnetism : Minimum ferrous component makes them not 100% non-magnetic, although its low long magnetism make it proper for non-critical non-magnetic applications.